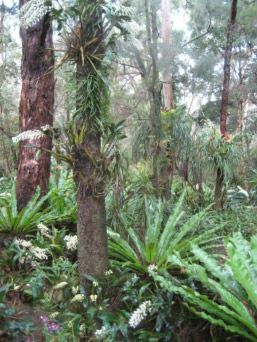 This tranquil bushland setting available to the public showcases display gardens of the wonderful flora from various parts of Australia while focusing on those plants endemic to our region. The 1.5 ha site was established in 1964 and is now under the authority of the Bankstown City Council and the Georges River Parkland Trust. Part of these magnificent gardens feature the richly diverse flora of a typical Hawkesbury Sandstone outcrop while the Dry Rainforest forms a canopy over the fern understorey. Look out for the amazing display of orchids! For further information on Sylvan Grove Native Gardens, click on the following link.